Battery Status is now available on Android smartphones and tablets to save user’s time. Battery Status delivers detailed battery information to help user make better decisions concerning his device. 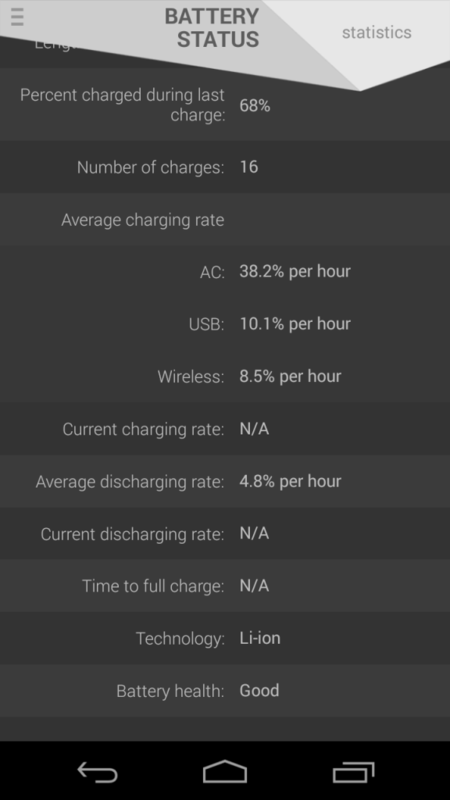 The app presents basic information like percentage and time remaining to fully charge or discharge from status bar, lock screen, notification center, widgets or main page of the app. 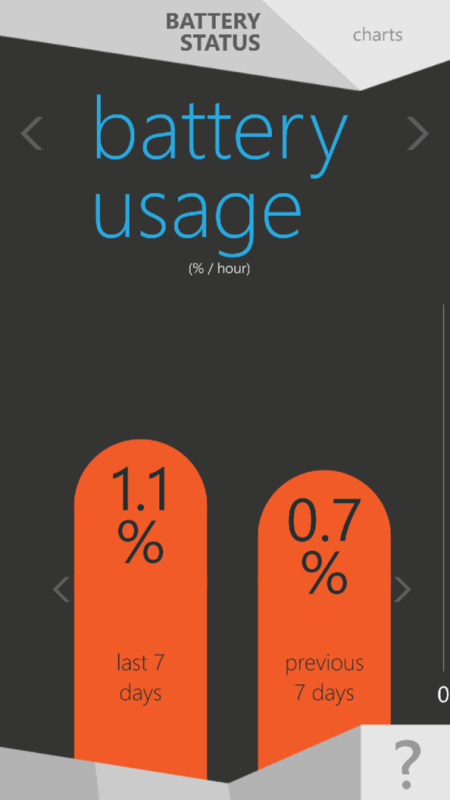 It contains charts which help consumer understand his use of the device. 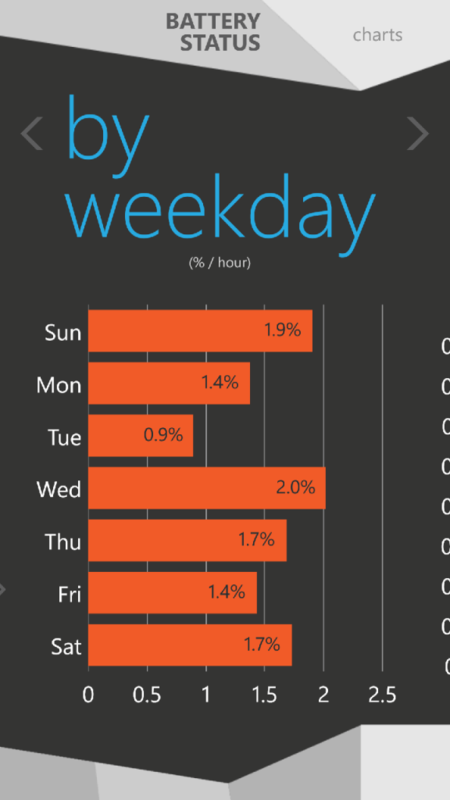 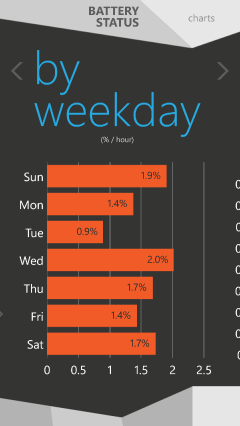 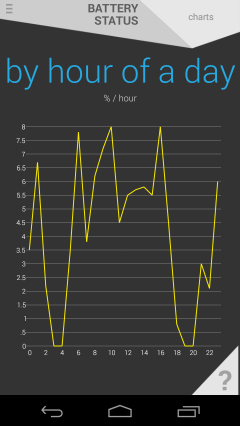 As an example: history of percentage, temperature and voltage shows correlation of the parameters and may be useful in finding anomalies, battery use by weekday or time of day tells user when he uses device the most. Furthermore, the app presents customer with list of activities so he knows how long he can do his favorite ones, including watching videos and listening to music among other things. 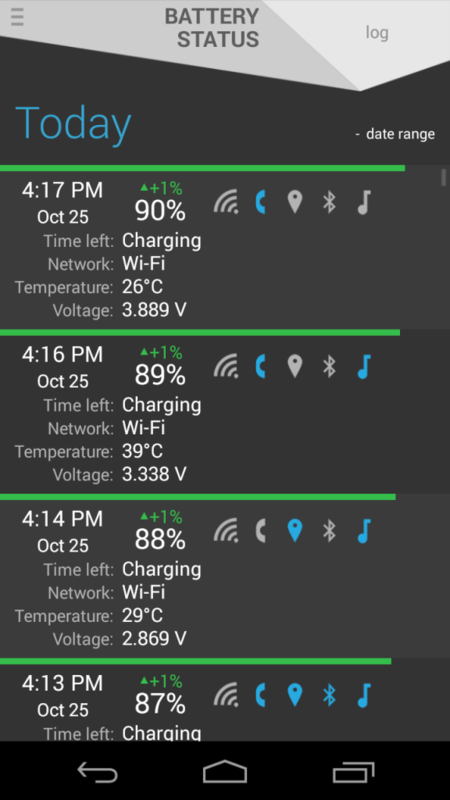 Battery Status introduces comprehensive statistics such as charging rates for AC, USB or wireless charging, battery condition, time of the last charging, average time between charges and more. 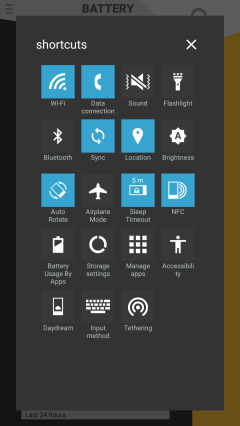 Additionally the app contains shortcuts for most important system settings like Wi-Fi, Battery Saver, Apps Manager, Screen Timeout, Brightness or some others. 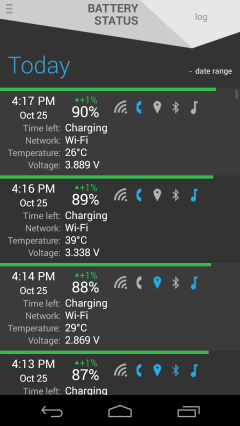 Battery Status is available in 18 languages: English, Czech, German, Spanish, French, Hindi, Italian, Japanese, Korean, Polish, Portuguese, Brazilian Portuguese, Russian, Thai, Turkish, Vietnamese, Simplified and Traditional Chinese. Machine translation was not used and all the work was done by native speakers. 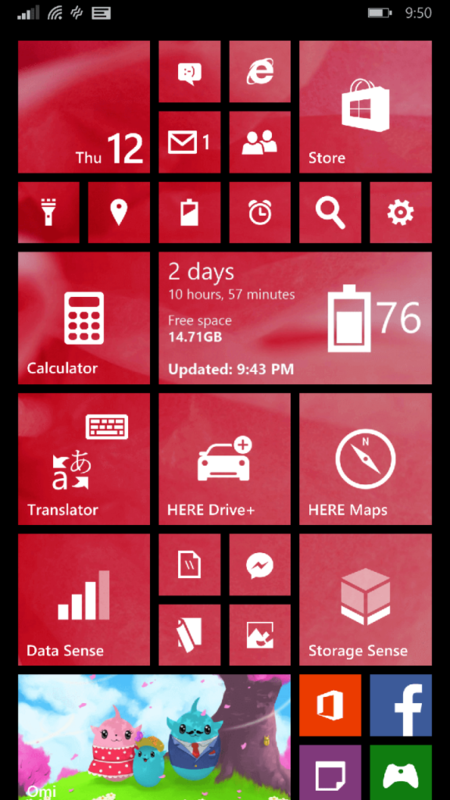 The app was previously available on Windows Phone since November 2012. 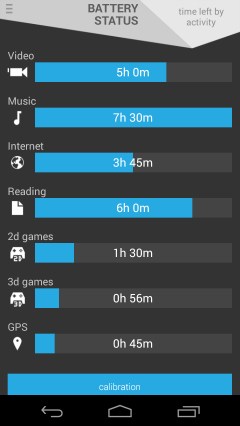 Android version is very similar although includes a few enhancements. 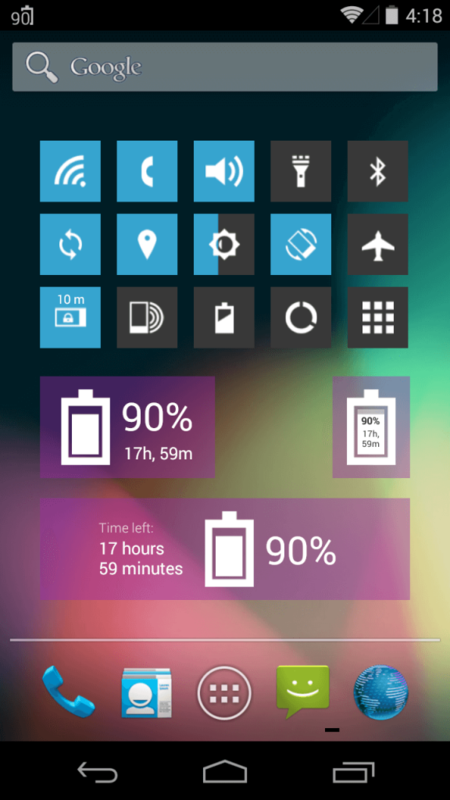 Some mechanisms are adjusted to Android standards (like navigation) and some are extended because of more possibilities (like way of collecting and refreshing data which now can be done in real-time). 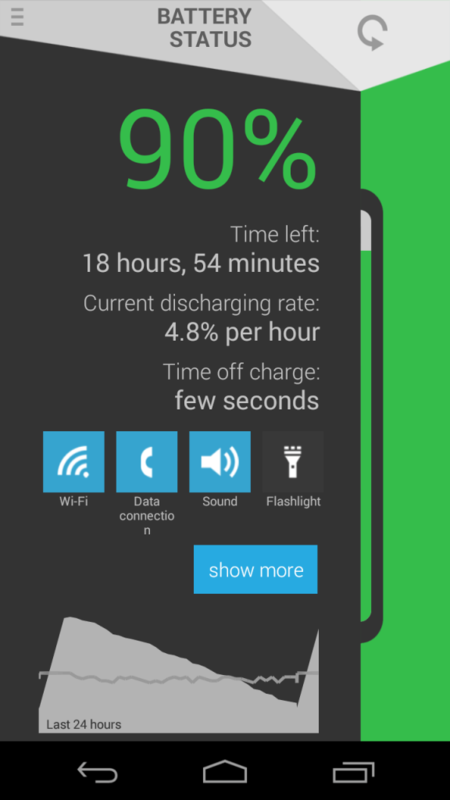 Battery Status is ready to download from Google Play and Amazon Appstore for free with ability to remove ads. 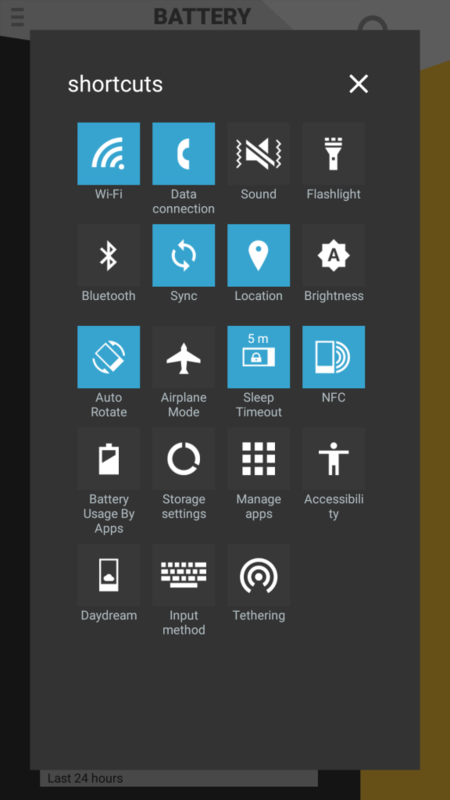 In Windows Phone version most basic features were free and the rest could be purchased for a small fee.